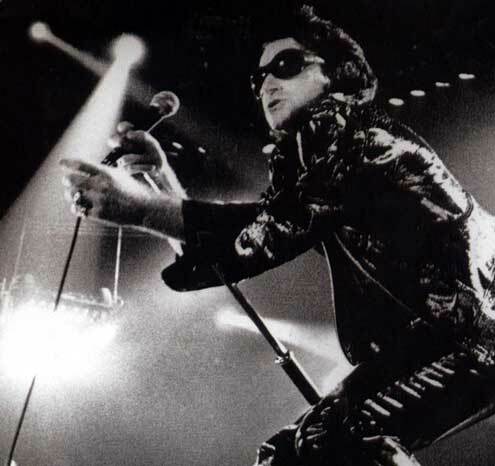 On their 1992 Zoo TV Tour, U2 opened with six-to-eight songs in a row from their then-most-recent album, Achtung Baby, and the crowd was with them. But they didn’t have the confidence to repeat this approach on the 1997 PopMart Tour — and of course, the POP album was far less popular than Achtung, especially in the U.S. Ace Paper of Record music critic J. Freedom du Lac pre-viewed his re-view of Jackson Browne’s Warner Theatre concet with this blog post, chiding Brown for apologizing for his new material. If you’re going to apologize for playing your new stuff, you forfeit the right to refer to yourself as an artist, I think. Based on JFdL’s review (I wasn’t at the show), I’d give Browne a pass for apologizing once on account of the album not having been released yet. It sounds like he was apologizing repeatedly, though, which is just weak. But bellowing out song requests is almost always obnoxious. Sure, there are exceptions — like when the performer asks, “So what do you guys want to hear?” But few artists work that way, and no artist worth listing to works that way all the time, and the idea that a performer just walked out there without having made up a setlist that expresses whatever it is they want to express is borderline insulting. More irritating still is when the request-shouters call for obvious warhorses — like “Running on Empty” or “The Pretender” — that everybody knows with 90 percent certainty they’re going to hear anyway! If you’re only interested in the half-dozen or so most familiar tunes in the artist’s catalogue, why bother attending a concert? Make a playlist, save yourself an evening and $150 or so, and spare the members of the audience who actually know how to show their appreciation in a respectful way the headache of having to deal with you all night. A lot of this depends on what kind of artist you’re dealing with. When U2 or Bruce Springsteen tour a new album, they typically play half to three-quarters of the new material at least for the first leg or first couple of months. Radiohead are playing In Rainbows in its entirety and then some, including bonus tracks that (I think) are only included on the pricey deluxe editions of the album. R.E.M. are playing most of their new album this year, but then again, the album is less than 35 minutes long, leaving plenty of room in the set for crowd-pleasers and rarities alike. With an act like Tom Petty or the Rolling Stones, you’ll hear maybe two or three of the new songs, tops. But when Aimee Mann played the Birchmere last February to preview songs from Smilers several months (not one week) before the album was on sale, she didn’t apologize for playing the new stuff. She believed in the songs, and she sold them. Period. This entry was posted in Bruce Springsteen, music, pussification, Radiohead, setlist, The Rolling Stones, The Washington Post, U2, Warner Theatre and tagged courage, J. Freedom du Lac, Jackson Browne, setlists. Bookmark the permalink.